I am always sketching or scribbling. In the car on the back of a receipt, at the table on napkins, in a meeting on a whiteboard, at my desk in a notebook or on whatever paper is handy, in front of the tv at night… it’s how I think out loud and sort through details. When I have a solution to a design problem, or need to think through a sitemap or information architecture categories, it is easiest for me to grab a pencil and paper and get to work. 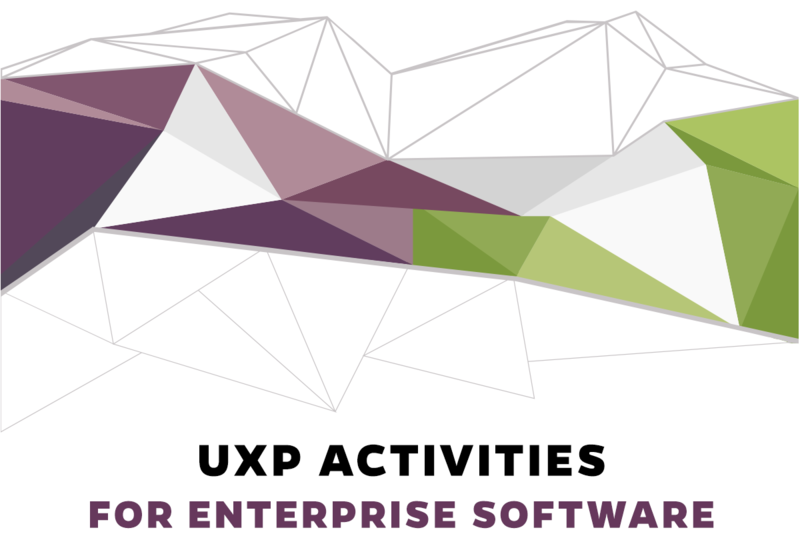 That is why I don’t always have formal documents to accompany portfolio examples – sometimes I am the only one who sees these things prior to working on the visual prototypes and then they get discarded. A. These functional sketches went to my Sigmaflow developers to explain pop-up screens in a web application they needed to add mid-project. 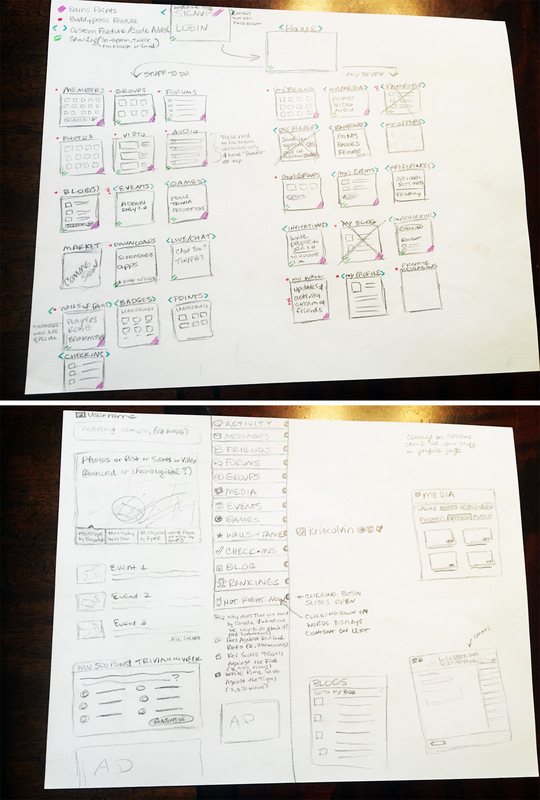 When in a hurry to communicate new features or additions, sketching takes minutes vs sometimes hours to create the same thing digitally. It is also helpful in the genesis of a thought, to talk through an initial idea and gain acceptance before spending any real design time on it. B. 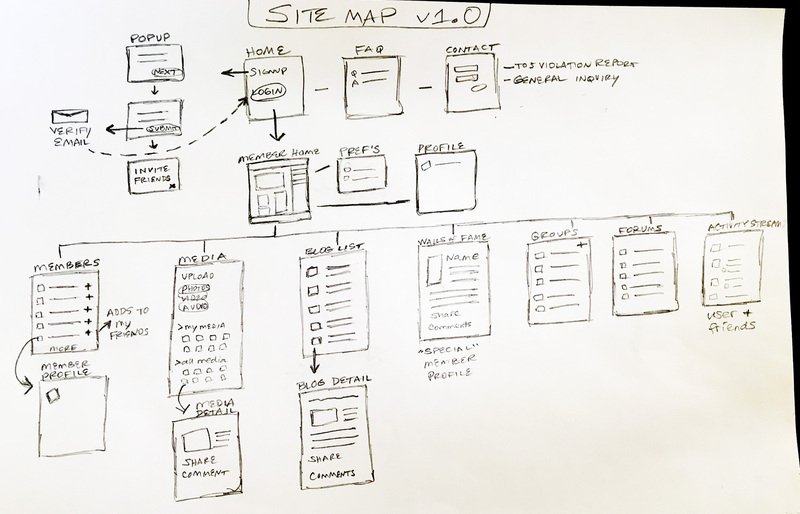 These are sitemaps and feature sketches used during the SKC Membership App project. The features kept changing as we had a hard deadline of stadium opening and many moving parts and complications, so we had to adjust the scope a few times and re-prioritize. C. These are some mobile app concept sketches for a fake app I designed called Shirtee, which I blogged about in detail. 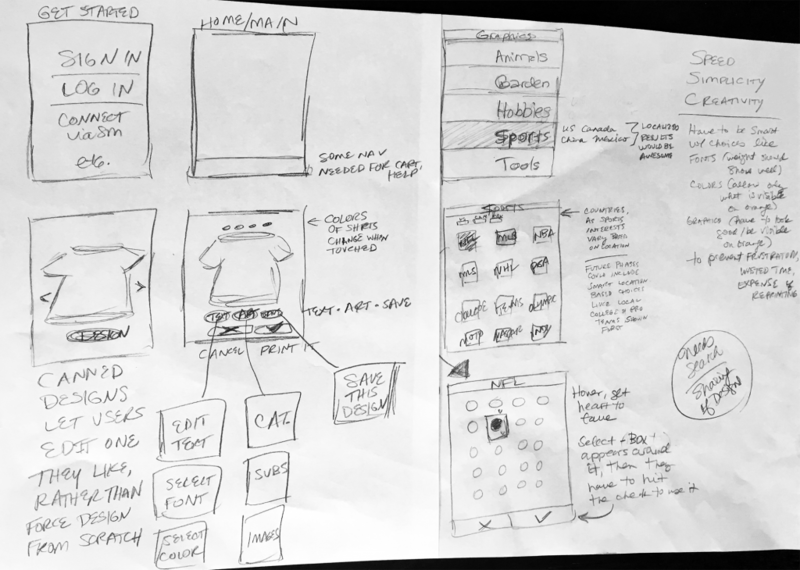 D. This is a sketch/navigation explanation for an ecommerce site design.